In this treatment, a small amount of patient blood is drawn and spun in a centrifuge. Spinning separates platelets from red and white blood cells, creating a platelet rich plasma (PRP). The plasma is then injected into the affected joint. PRP injections cause very few side effects or reactions. Most commonly, patients feel soreness near the injection, as one might after getting shots. Patients typically require 1-3 injections, with 4-6 weeks between injections. At GSO, we typically recommend PRP injections after other non-invasive or minimally invasive treatments have been ineffective. Our doctors are happy to discuss whether PRP or other treatments may be right for you. 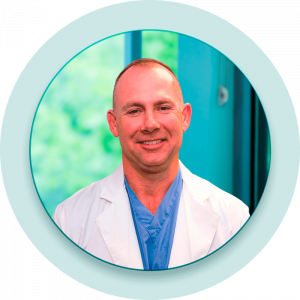 Dr. Jeffry Dressander is a Board Certified orthopedic surgeon and Fellow of the American College of Orthopedic Surgery. He has over 20 years of experience in orthopedic medicine and surgery. Dr. Dressander graduated in 1997 from Rush Medical College and attended the University of Wisconsin for his residency. He treats patients with general orthopedic issues and also specializes in joint replacement, and knee, shoulder, hip, and sports medicine. Dr. Dressander is affiliated with Northside Hospital and Perimeter Surgery Center.